Knowing that we all did not attend medical school, the best way to understand the serious ailment known as chronic obstructive pulmonary disease, or COPD, is by taking a simplistic approach. There are a wide variety of new treatment options for COPD that have just been discovered that you should check out. COPD is a lung disease that makes breathing an incredibly laborious task. COPD is not an instantaneous ailment, rather is the result of years of damage done to the lungs; typically, caused by smoking. Like heart disease, COPD can often refer to not a specific ailment, but rather a mixture of different ones. In this case, the usual culprits are chronic bronchitis, which is when the airways to the lungs get inflamed and make more than the normal amount of mucus. This causes a narrowing or even a blockage of the airway making it difficult to breath. The other disease that is typically present in a COPD diagnosis is emphysema. When a person is healthy, the tiny air sacs in the lungs fill like balloons as a person breathes, getting big and smaller with each breath. However, with emphysema, these air sacs become damage and lose their stretch, which results in less air getting to the lungs, giving a person a feeling of shortness of breath. As the name suggests, COPD is chronic, meaning that it gets worse over time. While it is impossible to reverse the damage that is done to your lungs, there are still ways to prevent further damage as well as mitigate the discomfort. While smoking is undoubtedly the most common cause of COPD, there can be other contributing factors to it. Chemical fumes, dust, air pollution and other contaminates in the environment can all cause COPD. Typically, COPD affects the older section of the population with the most common suffered being 60 years of age or older. However, it is often the actions taking in a person’s younger years that can seriously contribute to the development of COPD. Like any disease, early detection is key, not because there is a cure, but because by catching it early, you begin the process of reducing all the stressors that could potentially cause further damage as well as mitigate the discomfort that is already present. So without further delay and with the greatest intentions, allow us to present to you 10 of the most common symptoms that you might be suffering from COPD. While not trying to over step any bounds here, I think I might be fair in making the assumption that at one point or another, you have gotten sick. Now, by this, I am not referring to hospital bound or bed ridden, but rather a cold, or possibly the flu. 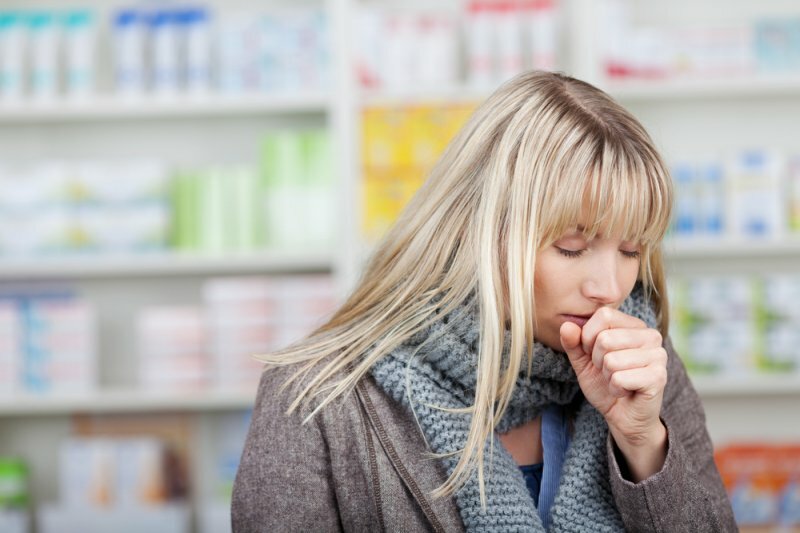 In any event, chances are, you have experienced a nagging, hacking cough at some point in your life, and from that, we can infer that you know how unpleasant it can be. Coughing is the body’s natural reaction to foreign objects and unwanted visitors in the lungs and throat - in fact, all mammals cough. However, when COPD is the case, you won’t suddenly have a really bad cough, you will have a slight one that over time, will progressively get worse and worse. If you notice that you are coughing up phlegm or mucus and don’t necessarily feel like you are “sick,” then you might want to visit your doctor or consider cutting back on the smoking. Better still, just quit altogether.